Internet artist Brenna Murphy uses computer programs to craft digital forms that stem from her observations of the physical world. Murphy combines her digital prints with found objects, collages, videos, and even performance work in gallery spaces seeking to cultivate relationships among various media and bring digital work into the realm of the physical. 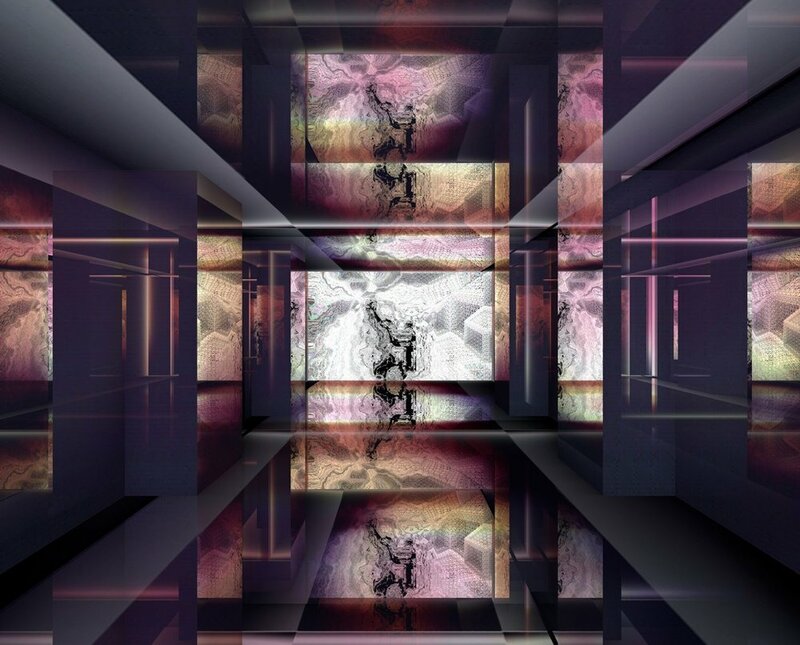 Her visions notably invite viewers to discover visual and trans-dimensional labyrinths that bridge reality and fiction in a sort of hyperspace. By using a variety of software such as Photoshop, Dreamweaver, and Blender, Murphy composes complex and abstract forms that act as a synthesis among different digital disciplines. But the artist defines this use of technology as prosthetic to human consciousness. As part of her process, she adds and carves elements until she finds a final arrangement, essentially replicating the making of substantial sculptures. Brenna Murphy (American, born 1986 – ) completed her BFA at the Pacific Northwest College of Art in 2009. Her groundbreaking approach to digital art owed her many prizes including the RACC Art & Technology Innovation Award in 2015. With solo shows at the Kunstverein Düsseldorf, the Yerba Buena Center in San Francisco, an online exhibition for New York’s New Museum of Contemporary Art, and several gallery exhibitions in Milan, Helsinki, Portland and Berlin, Murphy proves to be a leading figure of the global, digital art scene.